Previous post: We needed someplace for kids to do art! Now here is something my entire family can get into! We absolutely love whenever they have new, exclusive varieties of Peeps treats for holidays around the year. The chocolate ones are great! 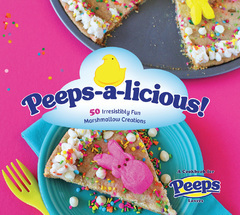 Peep-a-licious Cookbook Giveaway - Here We Go Again...Ready?